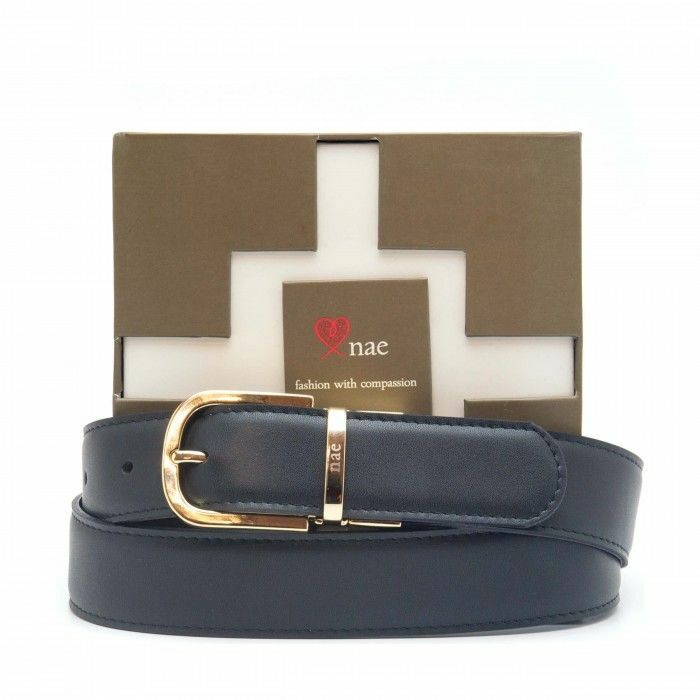 Women's vegan belt made with microfiber OEKO-TEX certified. 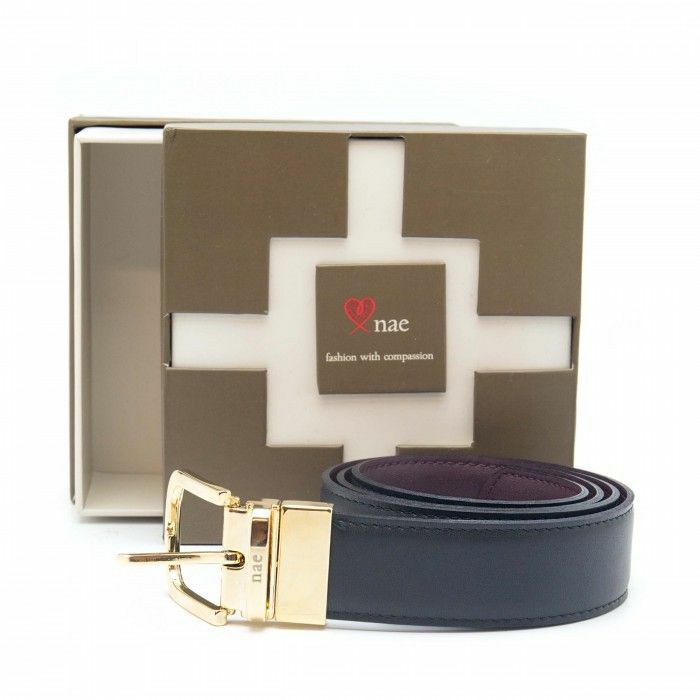 Has a reversible gold metal buckle free of nickel. 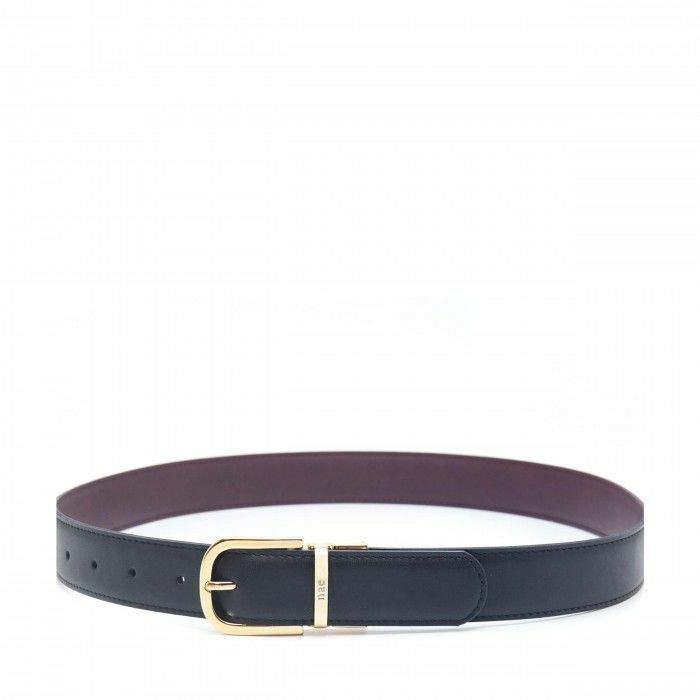 One belt, two colors: Black and Brown. 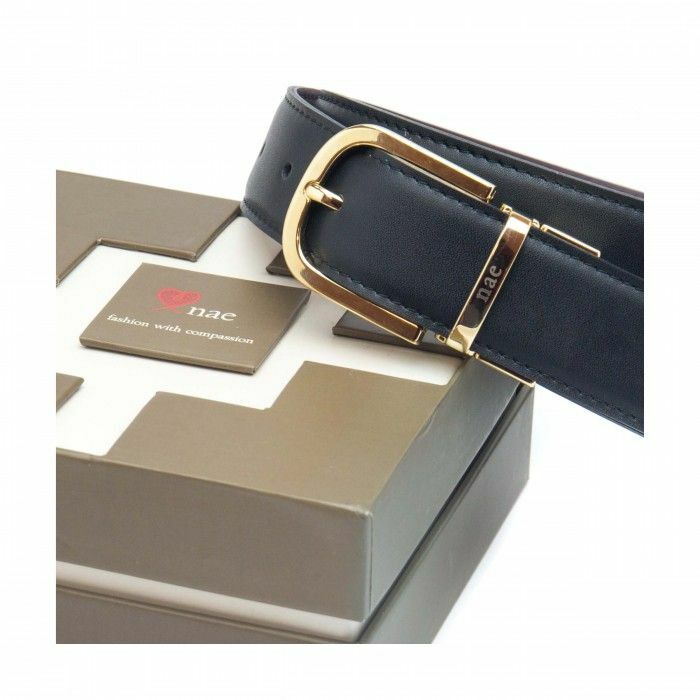 Sizing: Measure around the waist band where the belt will be positioned. For example if you measure 80 cm/32" order that size 80 cm/32". If you fall in the middle of two sizes, then order up. Width: 3 cm/1.38 in. Material: Ecological microfiber OEKO-TEX certified. 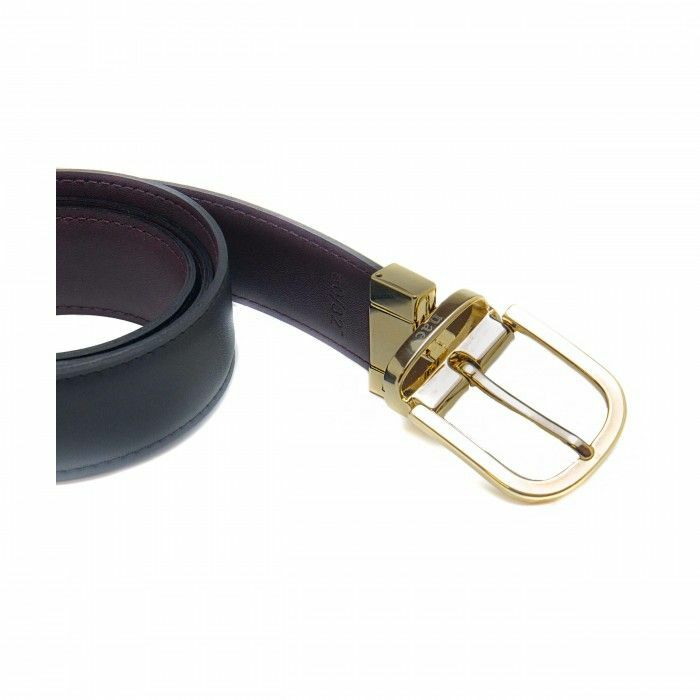 Buckle: Gold metal buckle free of nickel.